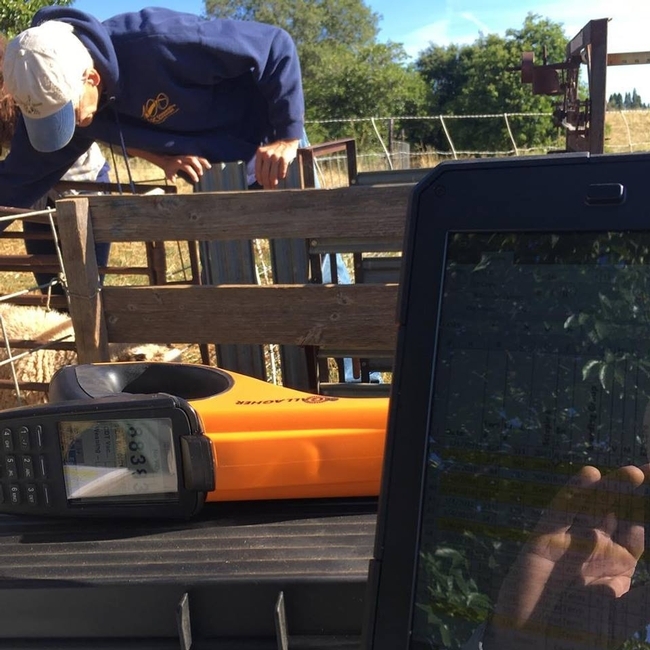 Earlier this month, I had the opportunity to attend the Sheep Industry Innovators Conference organized by lamb processor Superior Farms at UC Davis. The conference brought together sheep producers from throughout the U.S. - both large and small. While much of the conference was focused on technology, one of the early speakers talked about business innovation and disruption - topics that apply to all types of farms and ranches! If you're an alumnus of our Farm Business Planning Short Course, you'll be familiar with the acronyms WOTB and WITB (coined by the Ranching for Profit school). Most of us who farm or ranch prefer WITB - Working in the Business. These are tasks like transplanting tomatoes, moving sheep, or pruning apple trees. WITB, for most of us, is the kind of work that drew us to farming or ranching in the first place. WOTB - Working on the Business - often seems dull by comparison. WOTB includes activities like business planning, developing new markets, or succession planning. WOTB often involves sitting at our computers or (heaven forbid) talking to our partners or families about the farm or ranch. Despite my dislike of WOTB work, I find that working on the business is crucial to my ranch business' success. Intentionally carving out time each month for WOTB work helps make sure I don't neglect this important work. One of the speakers at the Sheep Industry Innovators Conference offered a new insight to one of the most critical pieces of WOTB work - updating our business plans. For me, these questions offer a simple, well-structured approach to evaluating our businesses. They help place questions about new production systems, marketing strategies, and capital purchases in the context of our long-term business goals. We'll be using these questions this fall when we analyze our own sheep ranching enterprise. Mr. Elliott also talked about the difference between innovation and disruption - high-tech terms that I had never thought much about in a small-farm context. Innovation, he said, is doing something new that improves on the old way of doing things. Disruption, on the other hand, is doing something new that makes the old way obsolete. I'm still thinking on this concept - what are the new approaches or new technologies that will disrupt your approach to farming or ranching? Finally, Mr. Elliott suggested that our creativity is improved when we slow down. I know that for me, a quiet walk is good for my body and my mind. I often think more clearly about difficult problems when I'm away from my desk. This fall, when we focus on our WOTB work for our sheep operation, I'm going to suggest that we take a walk - I suspect we'll be more creative without the distractions of emails, cell phones, or even sheep work! My point to all of this is to remind us all about the importance of stepping back and working on (rather than in) our businesses. I raise sheep because I love the day-to-day work. I'll only get to continue raising sheep if I pay attention to the needs of my business.